Every animal who is fostered is immediately out of harms way and is one step closer to finding its loving forever home. It is probably the MOST IMPORTANT gift you can give an animal whose only other choice very often is death. Golden Bone pays for all necessary shots and spaying and neutering. 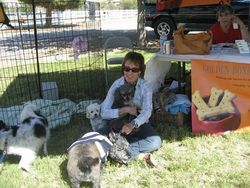 We can provide transport and food as well as behavioral assistance if needed. Will it be hard to let go? You’ll probably fall in love with your new family member, but will quickly feel very fulfilled when you see just how happy they’ll be in their permanent new loving homes. Sometimes we need an animal picked up from shelters to be taken into foster or brought to the vet or adoption events. All gas expenses are reimbursed. Volunteers needed throughout the Verde Valley to visit and assess the homes of potential applicants for safety and compatibility. 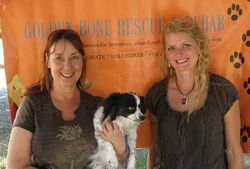 The follow up consists of a phone call and visit to homes of those who have adopted through Golden Bone Rescue & Rehab. We need a volunteer trainer who uses positive reinforcement training methods only to work with some of our dogs. Database Creation & Upkeep: We are looking for computer savvy volunteers to help us create a user friendly database. Would upkeep our Petfinder site. Creative volunteers are needed to help make flyers and marketing materials. A volunteer who would facilitate an agreement between Golden Bone Rescue & rehab and one or two veterinarians for low cost spay/neuter, tests, shots, and treatment. Grant writing is an important source of funds. 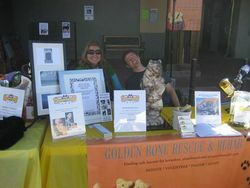 Join the team at Golden Bone Rescue & Rehab and get a thrill when the grant you write pays off! We are looking for someone who can do some filing, help organize the files, create and/or maintain a vet file, organize donations, and keep track of where various items are and/or where they are needed.